In this day and age where all aspects of a movie are fairly well known before an inch of footage is seen the subtely of a well crafted “teaser” trailer is totally gone…and I miss it…I miss it alot. So I decided to go back to some of the teaser trailers I fondly remember and, in a way, reintroduce them. Whether the actual movie was good or bad is neither here nor there…but pay attention to how each of these teasers work in their own special way to grab the attention of movie-goers. My dad was cool for many reasons, not the least of which was that he’d gladly take me to most any film as long as I’d steal, ahem, BORROW the salt from the concession stand so he wouldn’t have to get up in the middle of the movie for a light re-dusting of his popcorn. 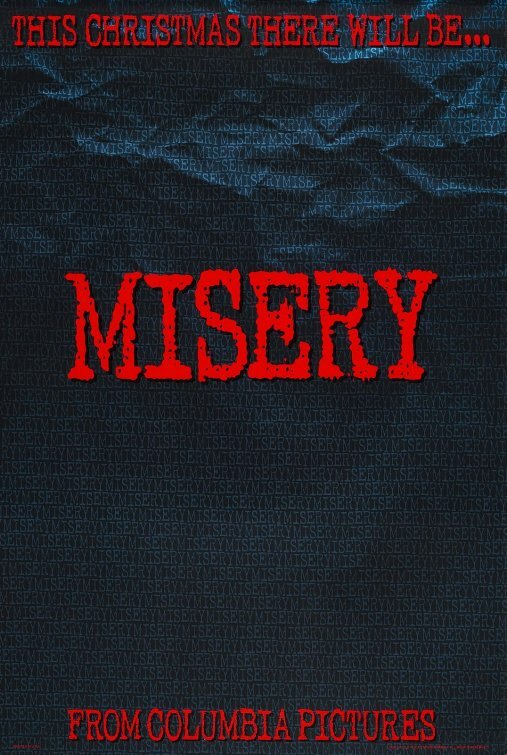 I vividly remember seeing Misery at Centennial Lakes 8 in Bloomington on a Wednesday evening and even as a 10 year old I knew it was the blackest of black comedies. Miss yesterday? Check out my look at the teaser for Alien!